Hello, My name is Joy and I'm honored to have you reading a little bit about me. I hope to have the opportunity to give you a reading about yourself. I have 16 years of experience in reading many people. I am a natural born psychic and an advisor with clairvoyant ability. I can tell past, present, & future. Would you like to hear the truth about your relationship? Are there trust issues with your significant other? Does this relationship have a future? 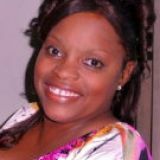 I specialize in love and relationships, spiritual, finances, and career. I give a 100% to all my readings. I keep it real and I only speak the truth. I love to be given the opportunity to share my gift with others. My goal is to help you through your challenges and assist with giving you an inner peace. ​'tis the season to be jolly do not let thisholiday season encourage you to be blue make this a new year . Make this holiday season a memory that you will never forget . Do things that you don't want to do. Remember to always want to give yourself a chance to step outside the box . Make this new year one of your newest ventures. Make this holiday season about challenges that you thought that you would never be able to face .If you need some assistance in copingwith the situation feel free to give me a call . I'll definitely have no problem in assisting you with looking at things from a different perspective .Because each day of this life has to be a positive outlook . Do not let this holiday season take you away from the joy that you can have. Make your life worth living for the new year. ​ Have you ever asked yourself today WHY ME ? is it because your situation is not the way that you think that it should be is, you think that you should be doing better at employment. Is it that you think that you should have a better relationship with your children ? Do you think it's why me that I should have a better relationship with my spouse or lover? Financially stable? Why not me , if you want something to happen in your life are you prepared to be a certain way ? You must have faith in who you are and allow God to create these things to happen ! If you ask God why me you won't get that answer ? Because God has decided to to place obstacles in our way to show us new directions . Still a lot of times we don't understand that we have to allow ourselves to learn from others what we should not do and focus on the things that are the best thing for us. As mature adults we have to learn to humble ourselves to remember where we came from and where we may have to go back to . Always remember that the same way that you got to where you are and got into a situation that you feel that you should have never gotten into . You just have to ask yourself those two words WHY ME , take the time to look at the reality and see where you're going and that will tell you where you should be. ​ In this world we have to learn to love ourselves because without a challenge of living your life to the fullest you will never know the opportunities that may have come your way . Always place yourself around positive people. Because when you're in the company of positive people you're mind doesn't have time to think negative , because you see in this society that we live people seem to do well on negativity versus positive . It's time to step outside of the box take the opportunity to do things that are important to you never sweat the small stuff always go forward and be the best that you can be in everything that you are encountered with . Sometimes it may seem as though your life is not what you want it to be but you have to be the want to try and make it be what she wanted to be always be willing to except things that you may not be able to correct but focus on making it better for you and not worrying about what others think life is about challenges life is about making sure that you love yourself enough to know that you're not settling for anything but the best. As we come into this holiday season we will find a lot of people that don't want to except this challenge but if you want to start out the new year 2019 being the best that you can be it's time now to put your life in order if it's things that you do not need and people are not positive around you clear your box for only positive people let the negativity stay outside each day of your life you deserve to have peace live it to the fullest and always remember to love yourself more. I believe that loving yourself is one of the most joyous times in your life. loving yourself is something every person needs at least at some point in their lives. If you're happy with who you are then it's easier to love and be loved by someone else. It helps to ease the mind and there are not stresses on your shoulders worrying about what others think of you. You must love yourself before you can love another. By accepting yourself and fully being what you are, your simple presence can make others happy. When I'm feeling good about myself my day goes by so much better and I love to have a good time . Love is not breathlessness, it is not excitement, it is not promises of eternal passion. That is just being "in love" which any of us can convince ourselves we are. Above all be true to yourself, and if you cannot put your heart in it, take yourself out. You need to always remember to be true to the game. Always remember to respect yourself and others will lead by example . We must all learn to play checkers not chess . ​ Each day is a daily sacrifice. Each day we as people find ourselves in a dilemma. We have to ask ourselves do we have the strength to be patient and the will to live . Because it's easy to set your standards high on the good days , but when you're discouraged and tired, have what it takes not to settle . Because In this world faith is everything you have to believe that if you keep growing and learning , things will work out exactly how they're supposed to. the strength to be patient , the faith to keep trusting, and the Faith to keep praying for change. Because in this life you will find that prayer is the key to a successful life with all the obstacles in your life daily prayers will always be there for you . You must have faith in the path that you have chosen if you have faith and prayer it will take you to destinations that you thought that you would never be able to reach. I believe that loving yourself is one of the most joyous times in our lives . Loving yourself is something every person needs at some point in our lives. If you're happy with who you are then it's easier to love and be loved by someone else. It helps to ease the mind and lift the weights off your shoulders worrying about what others think of you. You must love yourself before you can love another. By accepting yourself and fully being what you are, because your presence can make others happy. When I'm feeling good about myself my day goes by so much better and I love to have a good time . Love is not breathlessness, it is not excitement, it is not promises of passion. It is just simply being in live which any of us can convince ourselves that we are. Above all be true to yourself, and if you cannot put your heart in it, take yourself out. You need to always remember to be true to the game. Always remember to respect yourself and others will lead by example . We must all learn to play checkers not chess . Time is of the essence when you think of time, do you think of the concept of what time means? Does time mean every day, every hour, every minute? Time means knowing the things that matter to you in which that you need to complete in a timely manner. You see some people have a bucket list and others know the concept of time in order to live your life in a timely manner. #1 You need to know what's important enough for you to spend quality time with that individual. #2 Why does this person that you have chosen to spend time with, deserve your time? You must ask yourself if that person is worthy of you , if that person is not worthy of you then you should not waste your time because each day we should remember that time is of the essence time is the only thing that , we can never get back so we must make the best of it. #3 Time is like a kindred spirit. You can't control time you must learn to enjoy it. You must teach others the significance of not wasting a moment of your precious time. And finally you must realize that spending time with yourself and your significant other is a treasured moment. We must set a schedule, arrange time, organize and coordinate your time. The ability to use one's time effectively or productively is the essence of time management when properly controlled and respected. Each day in this society in which we live in this world called life . We have to be thankful for our daily challenges. Because Each day has different circumstances and different values. Sometimes our lives are built on a falsehood . We are living our lives under false pretenses. We should all learn how to value our worthiness. If, you love yourself enough to know what you will accept . Ask yourself why settle for less? Wanting to find that special someone will have to consist of having patience. Because we fail to understand that we are all living in God's world. God knows your every need. Please do not be surprised when he awards you your present. You see God needs a lifetime committee too! But his word is true! This is why with your everyday challenges look for guidance, loyalty, and learn to play chess and not checkers . Focus your loyalty to loving yourself and everything else will be your choice. The choice you make today will be the beginning of the first step of your new foundation. Ask yourself do you love yourself enough to know when you have endured enough challenge to make a change ? Only you need to know if the challenge has been met and if you can survive. When accepting the challenge just understand that you are loved. Always remember in this world that you are living in that you do have a choice. Let's not let society control our thoughts always remember to go with your first thought. There is always a reason for suggestion, there's always a reason why it happened, stay true to yourself and you will be able to see past the confusion. And you know that there is always someone there to lend a helping hand because there is a light at the end of the tunnel . There are so many things to appreciate in this world. Sometimes appreciation involves laying down your life for something bigger than yourself, or for someone else. Sometimes it could involve giving up everything that you have ever known, or everyone you have ever loved, for the sake of something greater. Appreciation should be your everyday ritual. Because appreciating your self is a way of living life to its fullest potential. Sometimes it is nothing more than gritting your teeth through pain, and the work of every day, the slow walk toward a better life. This is the sort of appreciation that we must cherish daily. Each day in our lives happened for a reason . Appreciate the good and dispose of the bad. Never too late for change! We can't be afraid of change. You may feel very secure in the pond that you are in, but if you never venture out of it, you will never know that there is such a thing as an ocean, a sea. Holding onto something that is good for you now may be the very reason why you don't have something better. It’s all about choices. It’s about making yourself the first choice. It’s okay to let the rest follow. Make this new year count for a new change . Look deep inside yourself and make a New Year's goals. Decide what you would like to have happen in your life in this new year. This will help you do your part. It is an stamp of approval that you're interested in fully living life in the new year to come. Making new goals gives our life new direction.This puts a powerful force into play on a universal, conscious, and subconscious level. In this game call life the skies are the limit. To start a new chapter in life you must think outstand the box. What would you like to have happen in your life this year? What would you like to do, to accomplish these things ? What good would you like to attract into your life? What particular areas of growth would you like to have happen to you? You must think of what would you like to have removed that is blocking you from achieving your goals. What would you like to accomplish? Rather it may be little things or big things? What would you like to see happen in your family life? Where would you like to go? What problems would you like to see resolved? What decisions would you like to make? What would you like to achieve in your career in the new year? Take a piece of paper, a few hours of your time, and write it all down - as an declaration of you, your life, and your ability to choose. Then let it go. Don't let the past dictate your future . Let the new year stands before us, like a chapter in a book, waiting to be written. Let's see if the new goals make it to the best sellers list . We all deserve a reward for succeeding in this thing call life. Give yourself a round of applause! Make this new year a year to remember! 1. Can we start over ? 2. Can we be strangers again ? 4. Can we laugh and talk ? 5. Take the time to relearn each other. 6. Try to come up with some new inside jokes . 7. Be willing to create some new memories. Last but not least give each other a second chance. You must be willing to take baby steps. You need to be content with small step . Life is made up of small steps that you take every day. So when you look back down the road you came from it all adds up . And you know you have covered some distance you need to have patienc . Patience starts with your own heart you have to believe in opening the door not only for a lady, but even a gentleman. Believe in embracing in the future and acknowledging in the past. Believe in the love at first sight, but know that this is the last day. If you go back to the beginning always remember what brought you together is going to keep you together work through those difficult times. Let the knowledge of taking baby steps be your virtue.